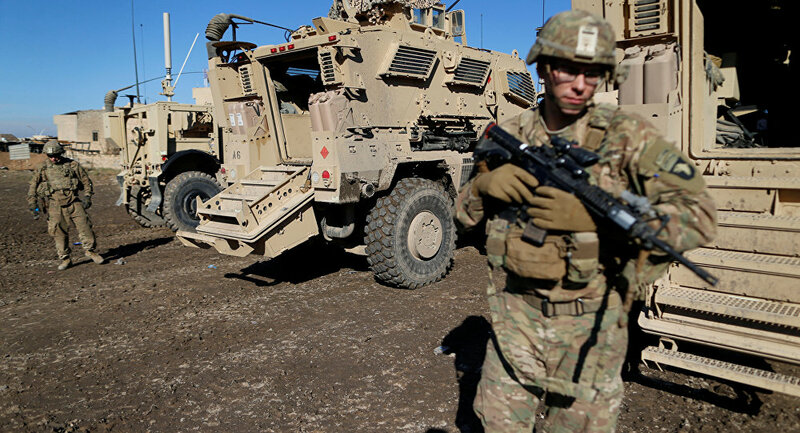 The US military should maintain a presence in Iraq even after its mission in Mosul is over and Daesh is ousted from the country, Lt. Gen. Stephen Townsend said this week. On June 29, three years and 19 days after the capture of Mosul by Daesh militants, the prime minister of Iraq declared the end of their fictitious caliphate. Townsend, who currently commands the 18th Airborne Corps, headquartered in Fort Bragg, and the Combined Joint Task Force-Operation Inherent Resolve, told The Fayetteville Observer from Baghdad that he is confident the terrorist group is near complete defeat in both Iraq and Syria. He added, however, that it would be in the best interests of the government of Iraq, the US and coalition partners if US forces stayed in the country even after Daesh fighters are driven out. Recalling what happened after US troops left in 2011 and Daesh declared its caliphate from Mosul in 2014, Townsend said "We've seen that movie before. My thought is to try something different." This time, US troops should continue providing support and training for Iraqi forces to ensure they are capable of facing the nation's threats, Townsend said, echoing similar remarks by other US commanders, including US Army Col. Pat Work, who warned that even after the total liberation of Mosul, Daesh should be expected to continue to challenge the city. "This is the world's fight against a brutal ideology that has to be defeated, that has to be destroyed," Townsend said, adding that the international coalition is committed to making Iraqi forces successful. He also praised the contribution of the 18th Airborne Corps soldiers who are expected to return to Fort Bragg in September. Currently, Fort Bragg soldiers are helping train the troops who will be sent to replace them from Fort Hood, Texas.